On behalf of the Government and the people of Vanuatu, it is my privilege to welcome you to the Vanuatu portal of the Commonwealth of Nations website. We have been accustomed to the sobering developments in international affairs but I am however grateful for the resilience that the Commonwealth family has demonstrated in the face of such challenges. 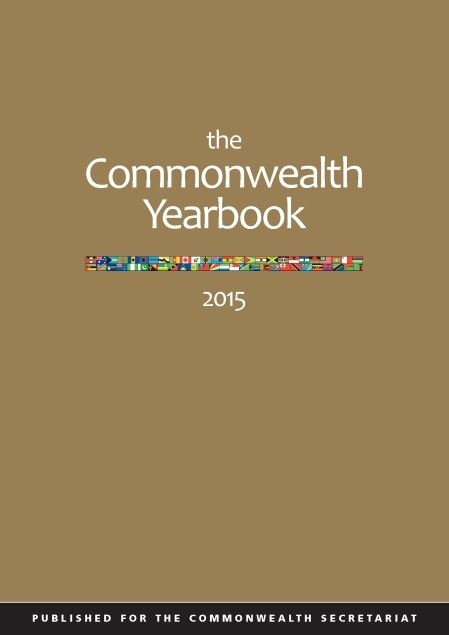 For decades the Commonwealth has stood as a safe-house for its member countries. Our membership in this great family has indeed yielded amicable benefits through the exchange of ideas, good practices and development co-operation. Vanuatu means, ‘Our Land’ and within the beauty and philosophical realms of this land Vanuatu offers plenty. Vanuatu like other Pacific island countries is unique in terms of the Pacific way, especially the people, diverse culture and language. Our geography is made up of 83 scattered islands with plentiful resources in both land (including the world’s most accessible volcano) and sea (golden beaches and best diving sites). Vanuatu has been voted twice as ‘the happiest place on earth’. Excellent investment opportunities exist for international business regardless of capital size. Our open door policy has been the basis for many successes, and we look forward to make you welcome. Our tourism industry is of vital importance to us, but if you’re not a tourist and are seeking business opportunities including in the tourism industry, make Vanuatu your first choice. 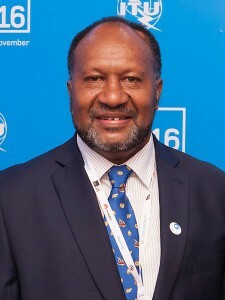 Vanuatu is committed to the ideals of the Commonwealth. Promoting democracy, good governance, sustainable development and human security are of primary importance to us. French and English are official languages for our slice of paradise and on this occasion, I bid you, Welcome or Bienvenue au Vanuatu. The Commonwealth Secretariat commissioned a land valuation expert to assist the Government in establishing a framework for land valuation and to draft legislation for the implementation of property tax reform in urban areas. The expert gave practical training to land administration staff in valuation and tax assessment disputes. The assistance contributed to improving property valuation and tax assessment procedures and addressed the chronic shortfalls in revenue collection from property tax and leasehold land rentals. The Commonwealth Secretariat commissioned this project which examined the technical, economic and financial viability for the establishment of small scale processing facilities for coconut/copra, leather tannery, coffee and essential oils from lemon grass. An expert was commissioned by the Commonwealth to advise and assist the Manager of the Credit Division at the Vanuatu Development Bank to implement credit procedures and sound portfolio to achieve profitability and financial stability. ELASD and the Asian Development Bank (ADB) initially co-funded this project to provide technical assistance to eight South Pacific countries including Vanuatu. An Advisor (funded by ADB) based in Fiji provided support to the region and ELASD provided inputs in the form of assessments, reviews and training workshops. Following the expiry of the agreement with the ADB in 1997, ELASD continued to support the region through regular hot-line support. A GTAS-funded CS-DRMS Regional Advisor was recruited in June 2000. The Advisor served all the CS-DRMS sites in the South Pacific. ELASD reviewed the project in Vanuatu in June 2000, and the Advisor also undertook a technical mission to Vanuatu in November 2000. The advisor has also provided hot-line support from Papua New Guinea to local staff in Vanuatu. This Commonwealth Secretariat commissioned project conducted Business Clinics, reviewed the import regulations and incentives to improve effectiveness and identified a site for industrial development.